After a childhood in Africa and Europe, Ivan Lovatt now calls the Gold Coast Hinterland home. 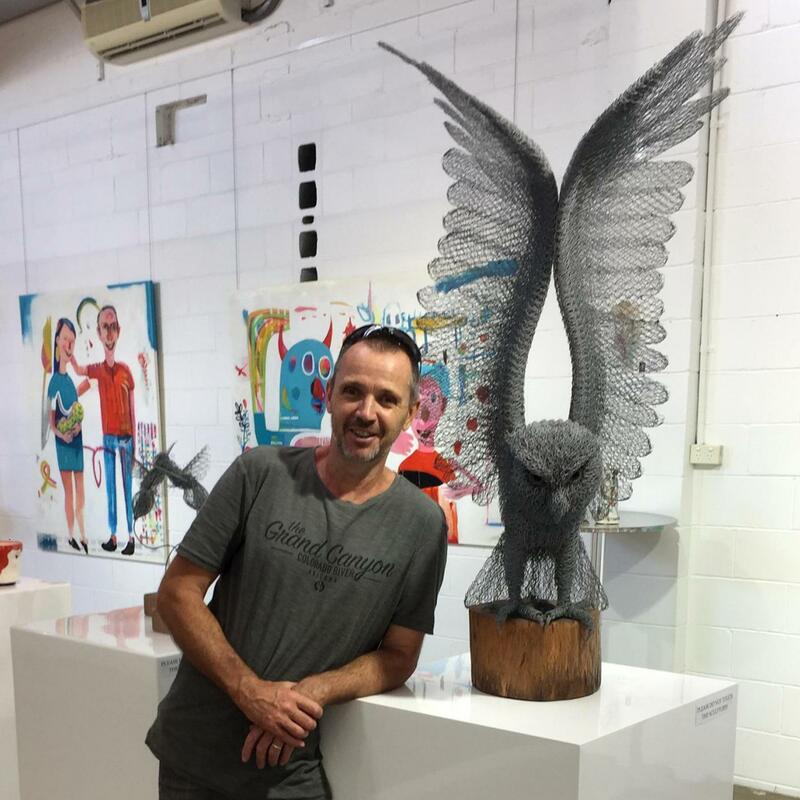 Initially drawn to all forms of artistic expression, he has now focused his creativity into the field of sculpture, being renowned for his imaginative works from layered and twisted chicken wire of animals and people. He has won numerous awards for his works, including the Swell Festival People’s Choice Award which he has won five times since 2004. Represented in private and public collections, in Australia and overseas. Ripley’s “Beleive it or Not” Museums in USA, Australia and UK.